In India there is always demand for scooters. The small and congested city roads are better rode on by lighter two-wheelers. With more money in the bank and easy procurement plans, buying a motorcycle is not a big deal. 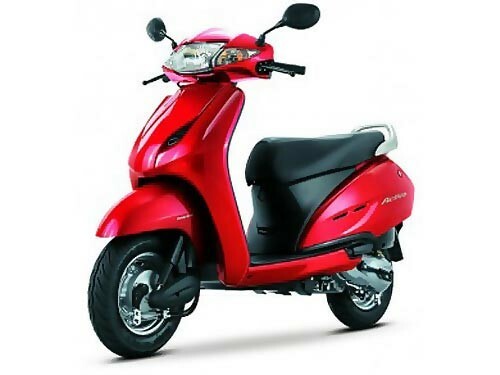 The new Maestro is based on Honda’s Activa. When Hero MotoCorp came up with the Maestro in the year 2012, it was seen as a powerful scooter. Targeting the men, Maestro is a masculine looking scooter with big dimensions and premium features. On top of that, the scooter is considered to be sturdy and has an equally good performance. A better suspension and ride quality are the plus points of the Maestro. The Maestro has console with an analogue speedometer, a digital fuel gauge, two digital trip meters, a stand indicator and a low fuel indicator. The scooter has an electric starting unit. The Maestro has a 3 Ah battery with 35 w multi reflector headlamps, 5 w reflector tail lamp, 21 w brake lamp and turn signals. There is ample boot space under the seat and a lockable glove box as an option. The build and quality of the chassis is also impressive. It is built on an under bone tubular chassis with a ground clearance of 155 mm which imparts rigidity to the scooter. Under the hood of Maestro is a 109 cc, single cylinder, air-cooled, 4stroke, OHC engine producing a maximum power of 8.2 bhp at 7500 rpm and a peak torque of 9.10 Nm at 5500 rpm. It returns a fuel economy of around 55 kilometres per litre. The fuel tank has a capacity of 5.3 litres and this helps in a decent long distance drive without many pit stops. The Hero Maestro Scooter has a carburettor type fuel system and CDI type ignition with one spark plug. It also has dry automatic clutches with variomatic drives. The brakes are 130 mm internally expanding drum with combined braking system at both ends for the Maestro. The tyres are 90/100×10”-53J. The Maestro comes in an array of vibrant colours of force silver, panther black, blazing red, pearl white and harvest green. Hero Maestro is pretty heavy at a kerb weight of 110 kilograms. But the riding position is upright and roomy and the seat is ample for both the pillion and the rider. Suspension setup is typical bottom link type at the front and unit swing arm at the rear with hydraulic dampers. The Hero Maestro is priced at an affordable Rupees 46,400.